Business litigation attorney Denise Erlich represents individuals and businesses of all sizes and in all industries with a variety of disputes, ranging from contract disputes to tort claims. With years of experience handling complex business litigation disputes, she provides practical and forward-thinking solutions to challenging legal issues. 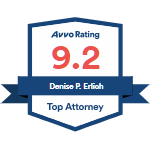 Unlike some attorneys who focus on transactional matters, business litigation attorney Denise Erlich has extensive litigation experience and can handle a case from start to finish, without passing the case off to another law firm. She uses her exemplary negotiation skills to seek a favorable settlement as efficiently as possible, but if dismissal or settlement is not possible, she aggressively advocates on her clients’ behalf to prepare for trial. 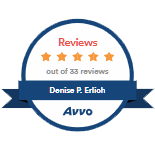 As a result of her 15 years of experience as a business litigation lawyer, she is able to proficiently develop and implement a focused and effective litigation strategy. Moreover, she provides her clients with a written litigation plan and budget so her clients can make informed decisions about how to proceed. Not only does business litigation lawyer Denise Erlich have 15 years of experience representing clients in complex business litigation, but she also has valuable real-life business experience. Prior to law school, she was the chief financial officer of her family’s multi-million dollar printing company for nine years where she obtained first-hand knowledge of legal and operational issues facing small and mid-size businesses. Additionally, she has 15 years of experience representing clients in complex business litigation disputes, including several disputes in excess of $10 million. Elmhurst business litigation attorney Denise Erlich provides clients with trustworthy, zealous, and responsive legal representation. She seeks to resolve her clients’ disputes as economically and efficiently as possible, by working toward the clients’ business objectives without unnecessary legal work. She is committed to resolving disputes through dismissal or out-of-court settlement. If settlement is not possible and litigation is necessary, however, she litigates smartly so that clients avoid unnecessary delay and expense. 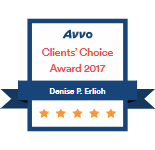 Clients appreciate the fact that business litigation lawyer Denise Erlich is highly responsive to their needs and objectives. She maintains proactive communication with her clients on an ongoing basis so that they understand the legal strategy, are promptly informed of developments, and are not faced with unexpected legal fees or costs. We will handle all aspects of business litigation so that you can focus on running your business. Whatever your business dispute, business litigation lawyer Denise Erlich will ease your mind and protect your interests. Contact the DuPage County business litigation law firm of Erlich Law Office at (630) 538-5331 to schedule a free consultation.